Vande Hey Brantmeier has come a long way since Tom Vande Hey opened Tom Vande Hey Auto Sales in Little Chute, Wisconsin in 1978. Back then, the business began with only eight used vehicles and one employee. Now, decades later, the automotive group has expanded to incorporate another partner, three dealerships, many more employees, and state-of-the-art service centers to better serve Wisconsin drivers. We sell and service new and used Chevrolet, Buick, Chrysler, Dodge, RAM, and Jeep vehicles, and we have a used store where we keep dozens of high quality pre-owned models in stock. What we pride ourselves most in, though, is our commitment to our customers. Vande Hey Brantmeier is happy to help Appleton, Green Bay, Manitowoc, Fond du Lac, and Plymouth drivers meet their vehicle needs. Visit us to find a variety of new vehicles in stock, or go with one of our competitively priced used models. We also boast a pressure-free sales environment, which means we focus solely on what you want. Our finance team is always at the ready to help you arrange a loan or lease package with competitive rates and affordable monthly payments once you make a decision, and you can even apply for financing online to expedite the process when you’re with us. Apart from that, our factory-trained and certified technicians are prepared to handle any auto service needs you bring our way, including oil changes, transmission work, engine service, body work, and more. We keep authentic OEM parts on hand to use on our own repairs, but we’re also happy to sell them to you if you’re doing projects at home. 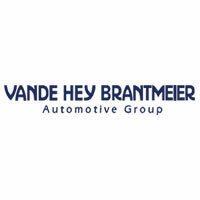 Head to any of Vande Hey Brantmeier’s three dealerships today to learn more about everything we can offer you. Don’t hesitate to contact us if you need more information beforehand!